The globe’s most-used messengers are somehow a mirror image of each other. 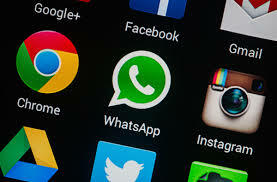 WhatsApp has more than 900 million users while WeChat boasts a significant 600 million users. These are no-joke figures, and it is only a few apps that have managed to reach such heights. Facebook bought WhatsApp for an estimated fee of $19 billion and with this app; users have a messenger that is free of any ads, gimmicks, and games. On the other hand, WeChat is striving to become everything that a user wants. It offers chat services, gaming, shopping and even banking. There is just a lot of this application that you’d get on any other chat app, be it on Android or iOS. The contrast between WhatsApp and WeChat moves on to geography as well as politics. The Chinese government is very strict with social media and as such, the app is heavily monitored. On the other hand, WhatsApp has no such limitations and in fact, the only data the app collects from users is their phone numbers. As noted earlier, WeChat has 600 million users. However, a huge chunk of them are in China, Southeast Asia and more recently, the app has started gaining popularity in South Africa. On the other hand, WhatsApp has over 900 million monthly active users, and they are evenly distributed across the U.S., Europe, and Asia, South America as well as some parts of Africa. Even though WhatsApp has a larger user base than WeChat, the former is nowhere the latter when it comes to revenue collection. The main revenue of WhatsApp is the annual subscription fee of $1 that every user must pay after using the app for a year. Conversely, WeChat sells games and stickers to users as well as integrates online shopping and payments; all of which are huge revenue generators to Tencent. WeChat estimates that each user of the app brings in an average of $7 per year. In quick calculations, this figure translates to around $4.2 billion per year. When compared to the $1 that each WhatsApp user donates, this Facebook-owned chat app is nowhere near WeChat. As it stands, the two messaging apps have begun entering into each other’s market. While WhatsApp has been spreading its wings to Asia and its environs, WeChat has also been busy in the United States, Europe and other parts of the world. In 2013, WeChat launched a multimillion advertising campaign that spanned through Italy, Spain, South Africa and India. Just this year, WeChat has also channeled $50 million to Canadian chat app Kik; all of which are bids aimed at strengthening the app’s presence in other markets outside Asia.